AllegroMedical.com presents The 1" Guardian Utility Tips. 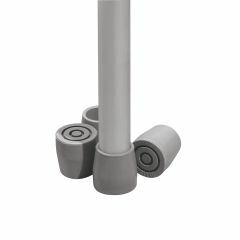 Heavy-duty rubber tip is reinforced with metal insert for longer wear. Fits walkers, commodes and transfer benches.